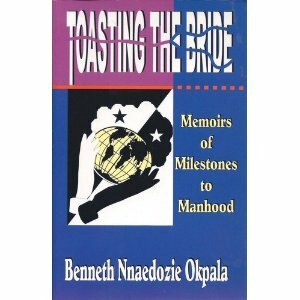 Toasting the Bride is a philisophical pungant social commentary, with a tinge of humor; laced with the bitter dichotomy of our modern life in the two worlds of mind and matter; and, from a deeper personal perspective, a toast of faith. Isi-Ichie Benneth Nnaedozie Okpala is an Architect/City Planner employed with the City of Houston, Texas, USA. He is married with one child. Mr. Okpala is a proactive leader in the Houston Igbo community and a past president of the Igbo People's Congress, an umbrella organization for a large number of local community organizations. He presently resides in Southwest Houston, and is a member of All Saints Anglican Church where he serves as a lay reader. Mr. Okpala is also the author of The Shadow Knows, a fictional reality novel.